I must commend and applaud Controller and accountant General for adding new useful feature to the gogpayslip platform. 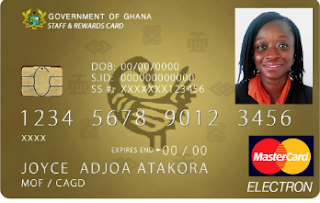 In fact, these feature are useful in the sense that you can check your Social Security and National Trust (SSNIT) contributions being tier I and tier II. 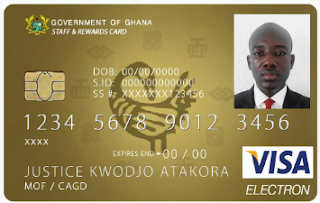 In no time, all public sector workers will be given visa card which can be used for online purchases and pay for travelling expenses, income tax paid for each month.One important feature of these platform is the My Staff Card which act as credit card. ==> My Travel Card. The Government of Ghana Travel and Expense Card is a prepaid card hosted on either a VISA or MasterCard platform that allows Employees and functionaries of the Government of Ghana to make travel related payments when on official assignments.